Interior finish for doors based on natural oils and waxes. Microporous and deep penetrating. Osmo Door Oil is a combined oil and wax formulation based on natural plant oils and waxes. Suitable for natural finish interior wooden doors where it penetrates deep, aiding the woods elasticity and provides a microporous surface that will not crack, flake or peel. The woods natural grain and character are enhanced. 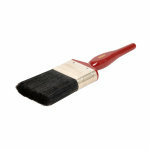 Also ideal for veneered doors and furniture. Application is by brush or roller with coverage up to 24 sq/m per litre. Dry in 24 hours. Osmo Door Oil 3060 Satin Clear is available in 1 colours from the Osmo Colour Cards. 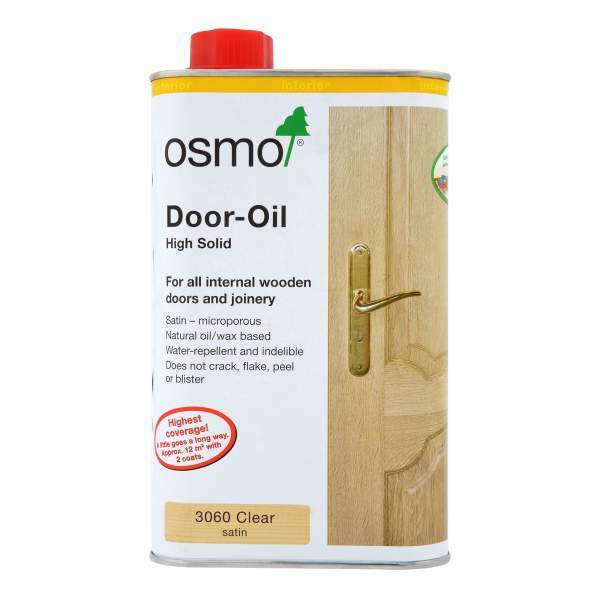 Osmo Door-Oil is a special oil and wax combination, used as a clear treatment on wooden doors and general interior joinery.Osmo Door-Oil is made on a base of natural plant oils and waxes. The surface will be protected against common household substances such as wine, beer, fizzy drinks, coffee, tea, fruit juices, milk and water in accordance with DIN 68861-1C (German industrial norm). Particularly recommended for veneerd doors. The wooden surface must be clean and dry (max. 20% moisture content). Clean or lightly sand old microporous stains. Remove old varnish (use Osmo Paint Remover or sand down). Always wear a dust mask when sanding. If necessary sand down the surface using fine sand-paper (grit P120-150), remove dust carefully. 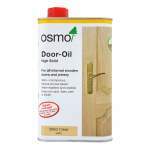 Osmo Door-Oil is ready to use. Please do not thin. Shake well before use. Apply thinly, following the grain of the wood, with a thick natural bristle paintbrush, (Osmo Natural Bristle Brush for example), Osmo Microfibre Roller or with a lint free cloth. Leave to dry overnight for at least 8-10 hours. Allow for good ven-tilation. Apply second coat as above. Again, leave this coat to dry for at least 8-10 hours with good ven-tilation. 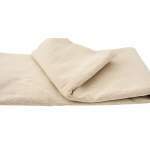 If using a lint free cloth, apply 3-4 thin coats, e.g. veneered doors. If a deeper satin finish is required, the surface can be polished using Osmo Liquid Wax Cleaner (also available as a spray). Note: It is also possible to colour/stain the doors using Osmo Wood Wax Finish Transparent. For some species of hardwoods or oily woods (like Afromosia, Doussie/Afzelia, IPE, Jatoba, Kambala/Iroko, Mahogany, Merbau, Rosewood, Walnut and Wenge), we recommend using Osmo Wood Wax Finish Clear Extra Thin 1101. Trial application recommended. Use Osmo Brush Cleaner (benzene-free) or turpentine. Surfaces that have been treated with Osmo Door-Oil can be cleaned with water (water mixed with Osmo Wash and Care) and wiped dry. To remove stubborn stains, use Osmo Liquid Wax Cleaner, that both cleans and regenerates the surface. 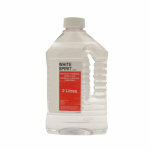 For occasional renovation, reapply Osmo Door-Oil thinly to a clean surface. Based on natural vegetable oils (sunflower-oil, thistle-oil, soyabean-oil) and waxes (carnauba wax and candelilla wax), paraffins, lead-free siccatives (drying agents) and water-repellent additives; disaromatized white spirit (benzene-free). 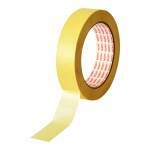 This product fulfils EU-regulation (2004/42/EC) according to the VOC limit value of max. 400 g/I (cat. A/e (2010). Shelf-life is 5 years or more if can is tightly closed.